Colorado City, Ariz. • Dawn Bistline-Cooke and her husband couldn’t pay their power bill. They struggled to afford diapers. Their truck had been repossessed. And at priesthood meetings, leaders of the FLDS Church reminded her husband to contribute up to $1,000 a month toward the storehouse and legal costs of the polygamous sect. During the week, her husband worked construction jobs out of town while Bistline-Cooke cared for their four children. In search of fun one weekend, she went to a “What Women Want” expo in St. George and found a business opportunity instead: selling appetite-suppressant lollipops called Power Pops. Bistline-Cooke had a natural network to tap as she joined the multilevel marketing company: She signed up a quarter of her 43 siblings to sell the cherry and piña colada treats and get others to join. From the 1970s on, beginning with companies such as Amway, Avon, Tupperware and Mary Kay, one network-marketing craze after another swept through the dusty streets and 15-bedroom houses in Hildale, Utah, and Colorado City, Ariz., the traditional home of the Fundamentalist Church of Jesus Christ of Latter-Day Saints. But a few months after Bistline-Cooke began to make money in 2004, FLDS prophet Warren Jeffs brought the community’s networks to a halt, denouncing multilevel marketing from the pulpit for taking money from the church. “Everyone dropped it,” she said. Today, the Essential Coffee Co. drive-thru in Colorado City offers to add Young Living oils to a take-away coffee for 45 cents — making peppermint, orange and nutmeg drops from the Lehi MLM company one sign of the industry’s resurgence among current and former FLDS members. 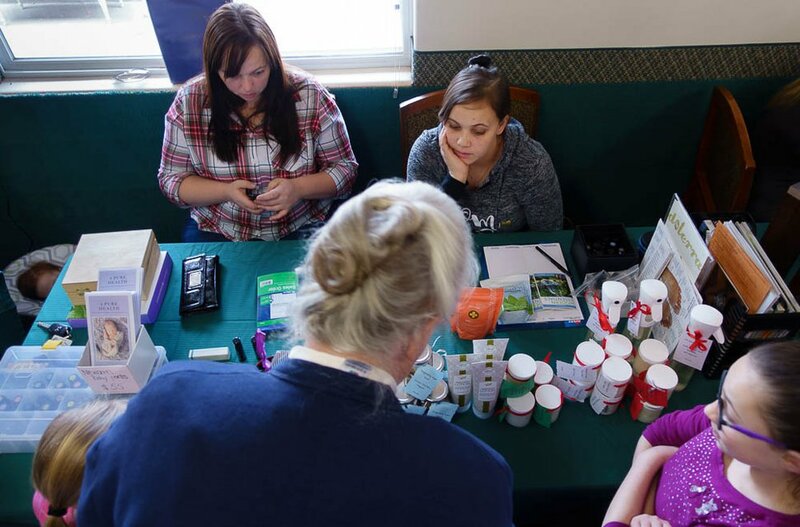 For FLDS women, MLM events are a way to stay connected, as many families are departing the towns on orders from Jeffs, who’s been incarcerated since 2011. Tell the Tribune: Are you a Utahn who has worked in multilevel marketing? Many join networks to get price breaks on oils and other products; even the most ambitious use MLMs and direct sales to supplement their income while working other jobs. Few can make it a full-time career. Only 5,000 to 7,000 people live in the two towns, known together as Short Creek, and many in the area are living in poverty. That limits opportunities to build a lucrative downline — the new members who share a portion of their sales with their recruiter. And there are cultural challenges for those who are FLDS or grew up in the church: Approaching possible new customers from outside the community at a grocery store means negotiating social barriers long imposed in a reclusive faith deeply skeptical of others. While online meetings, promotional videos, blogs and social media platforms are powerful marketing tools, some shun or feel less comfortable with the internet, once banned by Jeffs. But new enterprises are drawing on that same history. Former FLDS members are starting businesses that offer cleaning and sewing, skills central to life in the church, while one family is reopening a much-loved and mourned candy store. Caroline Darger grew up on America’s highways in her father’s semitruck, rather than playing with children from other polygamous families on Short Creek’s unpaved streets. “I got to see a lot of places through a window,” she remembers. She remains a member of the church, although she now lives in Kanab with her landscaper-husband and two children — one of many families who have been evicted from or left Short Creek after disputes with a board overseeing homes once owned by a church trust. The state seized the trust out of concern that Jeffs was mismanaging it. Darger is among the dozens of FLDS members who have joined Life Leadership — a North Carolina MLM company that church followers praise for offering them connection and support beyond their financial goals. For $120 a month, Life members learn how to get themselves out of debt. To make money, they can market books and CDs that explain the financial strategy; they can also volunteer for community projects with other members. 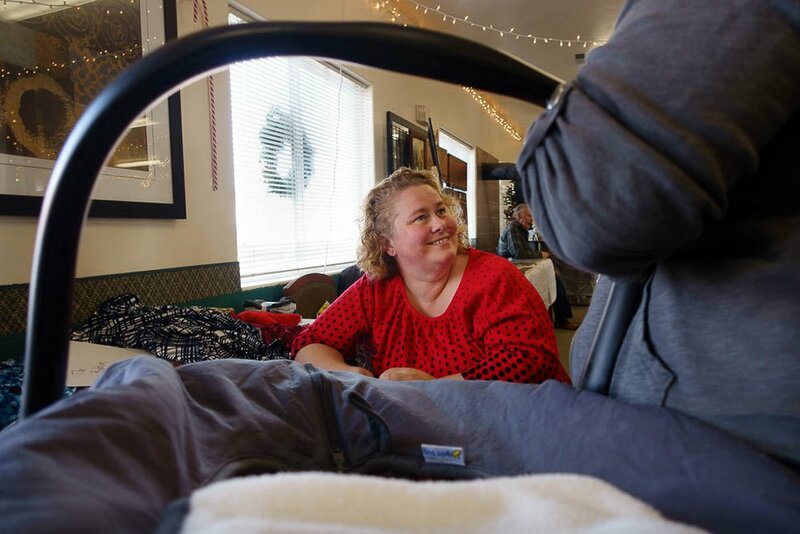 In December, at a weekly gathering of Life members and interested newcomers in a St. George hotel, more than a dozen FLDS women were part of a crowd of about 50 people. The women had come from as far afield as Huntington, near Price, Cedar City and Kanab, and several had young children in tow. The meetings are a chance for sister wives and siblings who have left Short Creek to meet up. She requested anonymity because she was concerned about backlash from within the church for talking to a reporter. The woman said she supports her husband’s two-year dedication to Life despite the lack of proceeds, which she attributes to the truck driver’s shyness. His commitment is to the product rather than earnings, she said. “He likes it because it builds character,” she said. FLDS members sell primarily to those still in the faith, former church members say. If church members want to be financially successful, they’ll need to overcome their suspicion of outsiders, said Harvey Dockstader Jr., a veteran network marketer who is a member of a polygamist group in Centennial Park and owns a health food store in neighboring Colorado City. Sisters Karen and Elizabeth Dutson grew up in Salt Lake City, but their FLDS father moved the family to Short Creek in 2000 after church leaders ordered followers to gather in the community to prepare for civilization’s end. When that didn’t come, the family stayed. While their parents had money, the sisters saw how their friends’ families relied on MLM companies for supplemental income, hawking Amway and products from eyewear accessories company Chums to relatives at the Creek. “It was a thing you did to survive,” said Karen Dutson, who’s 28. Today the sisters run a business called 4PureHealth, based on oils from doTERRA, an international MLM company based in Pleasant Grove. Elizabeth and Karen Dutson selling products at a Christmas market in Colorado City, Ariz., Saturday December 16, 2017. They sell packs of four diluted oils for babies and two roller bottles for mothers at several small markets each year. At a Christmas market in Colorado City organized by a local nonprofit, The Wise Woman’s Connection, they also sold $10 doTERRA and coconut oil blends that help, they say, with anxiety, the occasional “ouchie,” milk support and other maternal needs. Other women at the December market promoted MLM products from Mary Kay cosmetics to Melaleuca’s wellness products. The sisters left Short Creek separately as teenagers, and they and their father have left the church. But Elizabeth Dutson, 32, last year moved back to Hildale, where she raises her three children with her partner. Karen Dutson lives in Kanab with the father of her two children and has a full-time job cleaning vacation homes. They joined doTERRA mainly to afford the oils themselves. “We’d be more into it if we did it for money,” Karen Dutson said. The Colorado City candy store was closed by the FLDS, she said. Dutson now hopes to reopen the shop in January, a block from its former home. A cousin of Karen and Elizabeth Dutson, she returned to Short Creek in 2016 and is working with other relatives who are no longer FLDS members. Now 33 and a single mother with a 13-year-old daughter and 10-year-old twin boys, she’s also attending school at Mohave Community College in Colorado City. At the Christmas market, she sold homemade peppermint popcorn, caramel popcorn, pecan rolls, pumpkin and mocha rolls and doughnuts, all from family recipes. “I’m so proud of it, so very proud of my Dutson,” she said about making and selling baked goods to the public. Sandra LeBaron offering sewing lessons at a Christmas market in Colorado City, Ariz., Saturday, December 16, 2017. Sandra LeBaron also is building a business based on skills she learned while in the church. Last summer, the 45-year-old LeBaron opened Bobbins Nest, a fabric store in Colorado City. She also teaches sewing, long valued by FLDS families who made their own clothes. 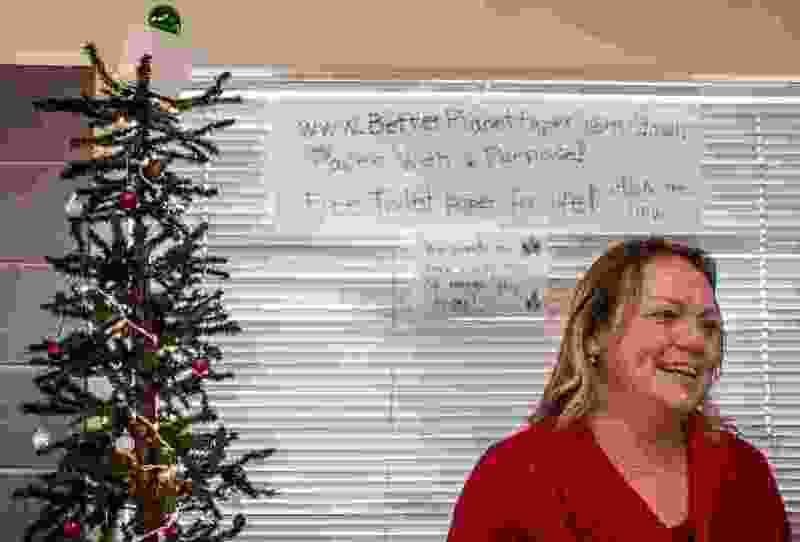 Now living in Washington, Utah, she keeps an eye out for ways to bring in extra income; in June she joined a new MLM company that sells environmentally friendly toilet paper delivered for free to customers’ homes. Better Planet Paper promises to plant a tree for each order of toilet paper or paper towels. The new surge in network marketing and small businesses will empower other women, Bistline-Cooke said.